Featuring bold and aggressive exterior styling matched with an elegant and well-equipped interior, the Lexus CT is a compact car designed to wow. The cabin and boot offer plenty of space for a car in this class and as the rear seats fold flat you'll get to enjoy added practicality when carrying bulky items. 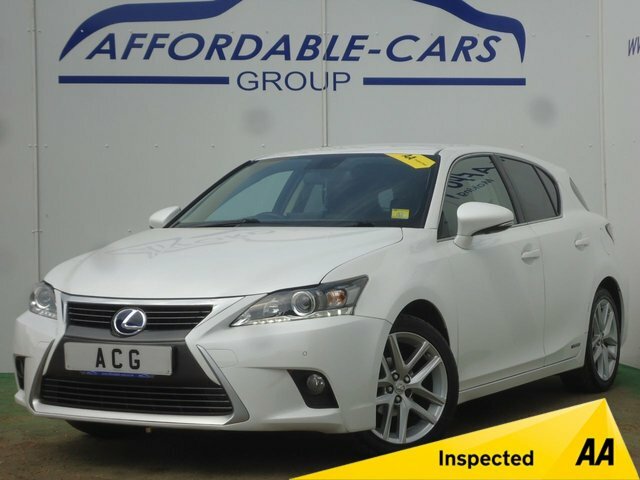 Why not take a closer look at the range of used Lexus CT models for sale in York today by paying a visit to Affordable Cars (Yorkshire) Ltd. At our showroom you'll find a great range of quality used vehicles, along with friendly staff who'll be more than happy to walk you through our stock and ensure you find a model to suit your requirements.